Rebecca Martin didn't know about the election, even with the sign flashing outside her shop featuring the name of a candidate, Jason Rarick, and the election date. It was minus 2 degrees outside on a recent Friday and business was slow at Martin's business, Corner Hair and Tan, in Hinckley, Minn.
Martin considers herself plugged into her community — she owns her own business and bartends at a nearby restaurant — but admitted she never paid much attention to the sign, and instead gets her political news through social media. "If [it] wasn't on Facebook I didn't see it," she laughed. It's a familiar refrain across the district, whose seat in the state Senate unexpectedly opened up in early January after Gov. Tim Walz appointed former DFL Sen. Tony Lourey to his Cabinet. A special election to replace him was called hastily, and by the time election day rolls around on Tuesday, the campaign will be only in its fifth, brutally cold week. And there was just an election last November. "We're still knocking on doors where when you mention to people that Senator Lourey was appointed to be a commissioner, and they haven't heard that yet," said Rarick, a Republican state representative and candidate for the Senate seat. "That's our biggest challenge — is making sure people know." He's in a sprint of a race against Democrat Stu Lourey and the Legalize Marijuana Now Party's candidate John "Sparky" Birrenbach. And the stakes are higher than usual for special election for a single seat in the state Senate. With the District 11 seat empty, the Minnesota Senate is controlled by Republicans by just two votes. The results on Tuesday will either make the GOP majority more comfortable, or set it back to a narrow, single vote. "Down here that is a big difference," said Senate Republican Majority Leader Paul Gazelka, who had to manage attendance of every member of his caucus during important votes last session. "Any day I was missing one person we couldn't move anything forward. There were two legislators who had a heart attack during session and literally they couldn't be here." The state DFL Party and other outside groups are pouring money into mailers and ads that are running across the district, and Lourey and Rarick combined have raised more than $110,000 in just weeks. But the significance of the race is mostly lost on voters in the district, which covers a long swath of the Interstate Hwy. 35 corridor between Pine City and Cloquet in eastern Minnesota. The highway is dotted by small Minnesota towns like Hinckley and Moose Lake. Health care facilities, a state and federal prison and a paper mill in Cloquet are the biggest employers in the district, but many people commute to work in the Twin Cities to the south or Duluth to the north. The politics of the area shift from red to blue as the road heads north. Rarick has represented the southern half of the Senate district since 2015 and was re-elected last fall with 60 percent of the vote. But Mike Sundin, the DFLer representing the northern half of the district, was also elected with 60 percent of the vote. The Senate district been has represented by a Democrat — and a Lourey — in St. Paul for decades. Stu Lourey's dad, Tony, held the seat since 2007, and before that, Stu's grandmother Becky represented the area. Stu Lourey's campaign operation is headquartered on the family farm in Kerrick, Minn., where he grew up. Several family dogs scurried around the floor and chewed on bones while Lourey did a conference call with a union board. 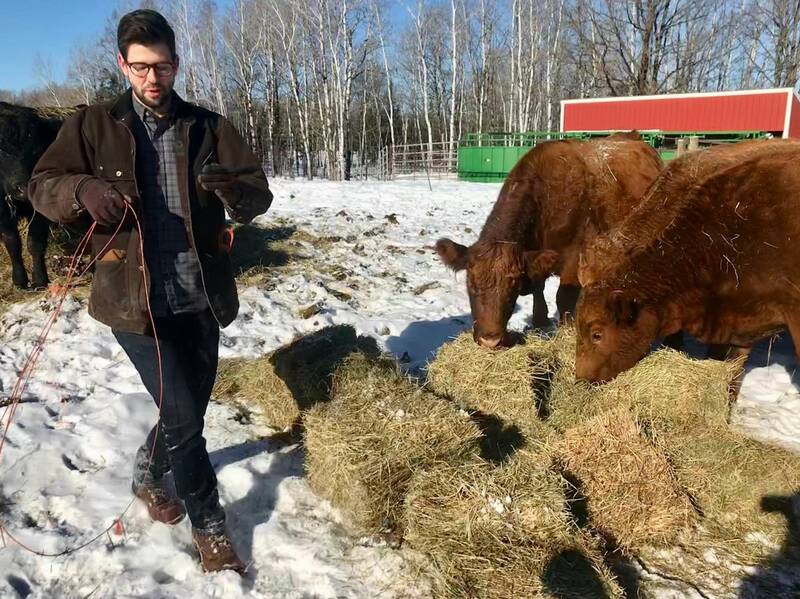 After the call, he took a break to bring two hay bales out to a small herd of Black and Red Angus cattle he owns with his dad and brother. "There's a lot of barriers. Land is super expensive," he said. "It's a generational investment, we should make it easier for families to pass their farms down to their kids who want to get into this." 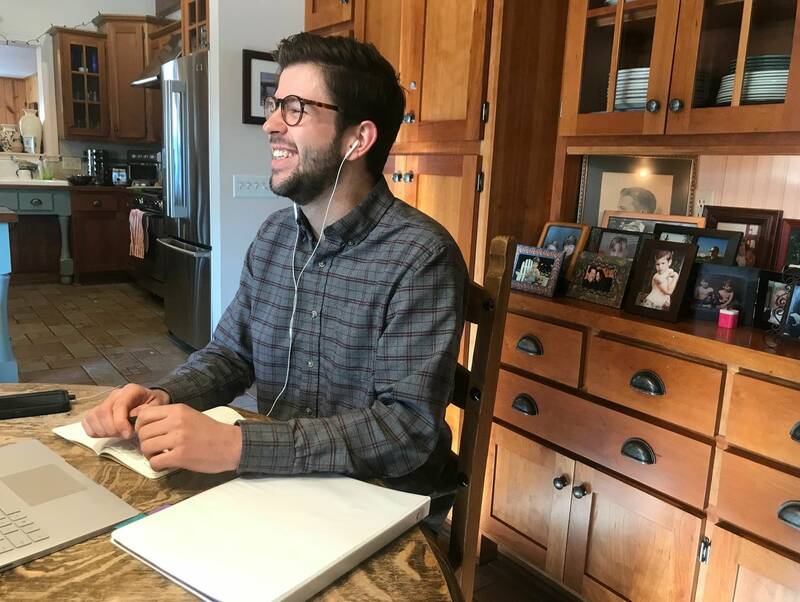 Lourey left home to attend Carleton College and work for former U.S. Sen. Al Franken part of the time in the district and eventually U.S. Sen. Tina Smith. He said the biggest issue he's hearing about is access to health care. "When my mom was pregnant with me, as first born in my family, she went to our local hospital. They weren't prepared to deal with a birth as complicated as mine, so she had to take an hourlong ambulance ride to Duluth to get that," Lourey said. Rarick said he's hearing concerns about several gun-control proposals moving through the state House. 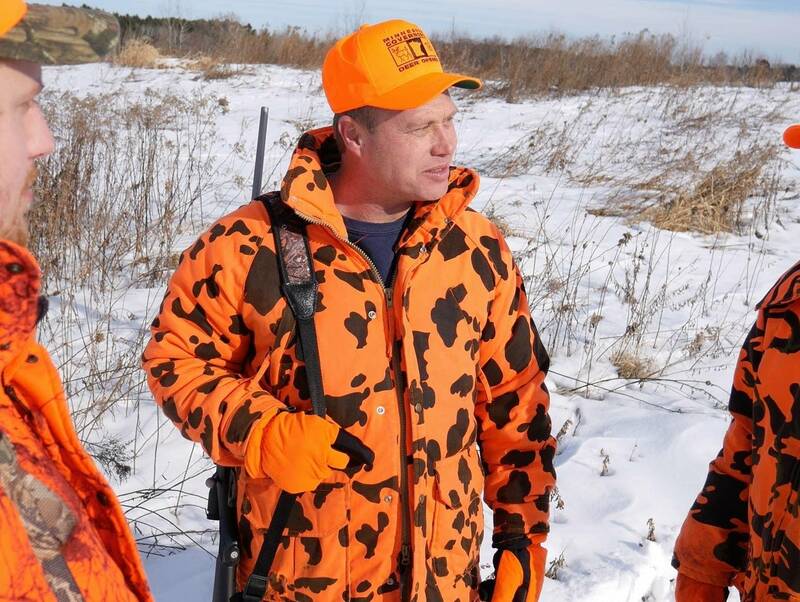 Hunting and recreational gun use is popular in the rural district. Rarick wasn't initially interested in the Senate, but with the short time frame of the special election, he said he was Republicans' best shot. He's been out knocking on doors and heading to local bars in the evenings to try to talk to large groups of people at once about the campaign. Rarick is a lifelong resident of Pine City, where he was the fourth generation to grow up on his family's farm. He went to the Dunwoody College of Technology and is an independent electrical contractor and a union member. He said that perspective makes him rare within the Republican Party. "I'm able to bring some of the messages that Republicans haven't heard before, like right to work, prevailing wage, workforce development and job safety, things of that nature that they maybe haven't heard the whole story on," he said. But all the candidates in the race have some work to do in the final stretch of the campaign if they're going to get voters out. Inside Thrifty Troll in Hinckley, owner Kevin Miller didn't know there was a special election scheduled, and he wasn't inclined to get out to vote on Tuesday. "I sort of keep my nose out of government," he laughed. "I tend to get in arguments with everybody then." Correction (Feb. 1, 2019): An earlier version of this story misidentified Minnesota U.S. Sen. Tina Smith.